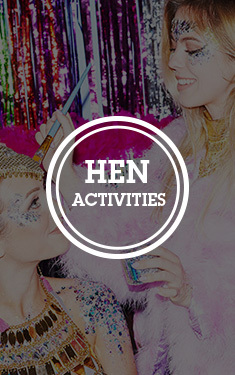 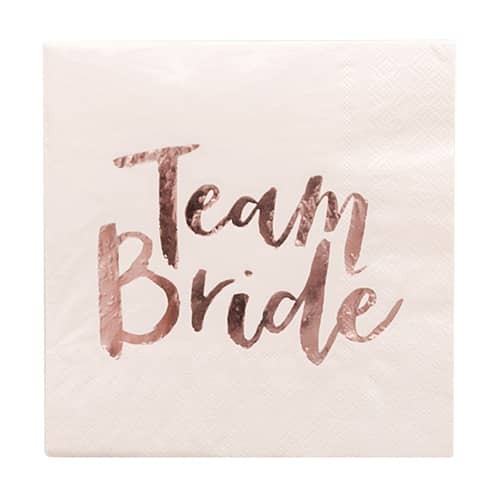 Picture the scene; you've set out a really nice table full of delicious cakes, scones and other tasty treats, everyone has dressed up for the occasion and then you find yourself without some suitably classy yet hen party specific napkins!!! 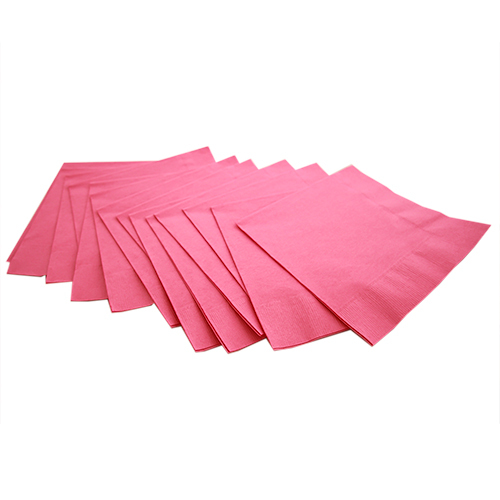 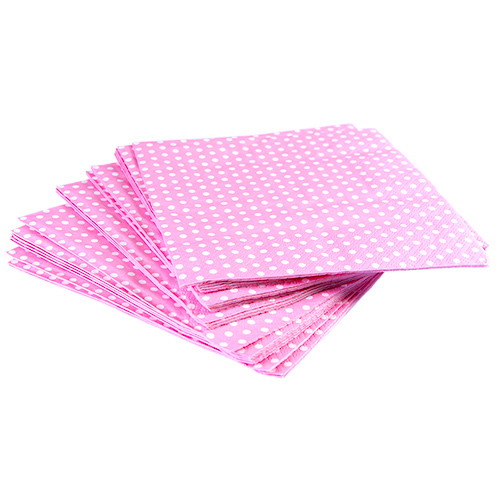 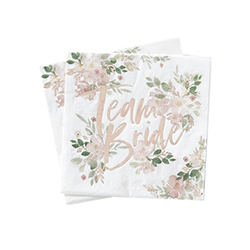 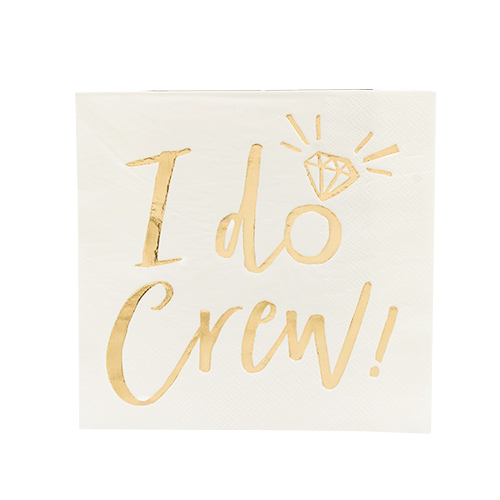 Fear not because we have the perfect solution in these rose gold Floral Team Bride napkins. 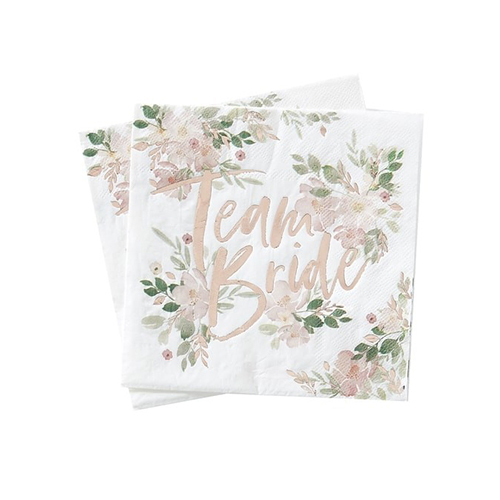 pack of 16 so there's plenty in there for most groups, the floral design will look great on any table and the rose gold writing is such a classy touch. All you need to worry about is the food. 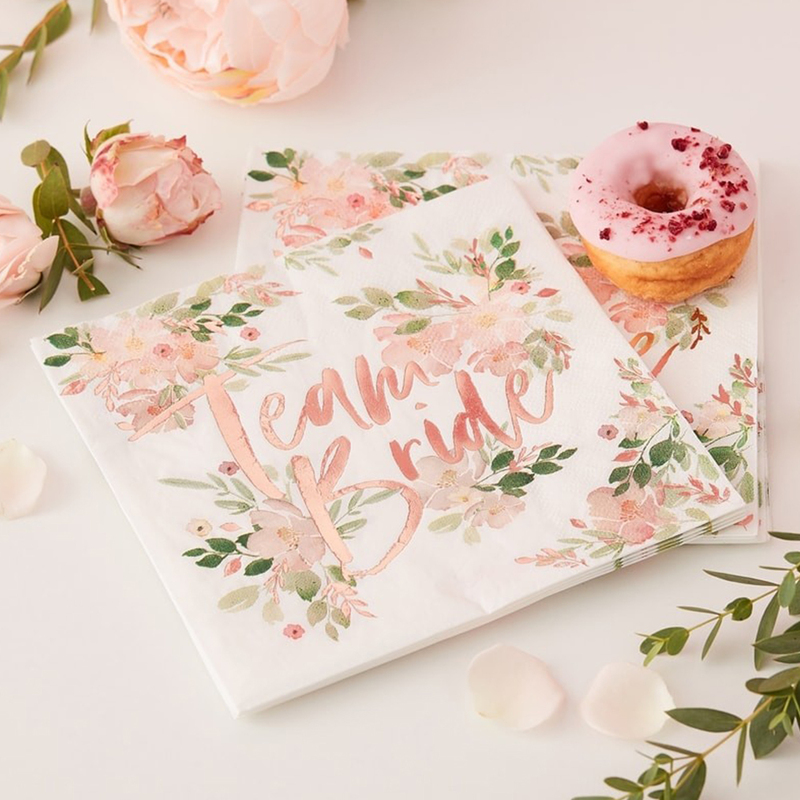 We also have matching plates and cups so you can put together a whole theme.